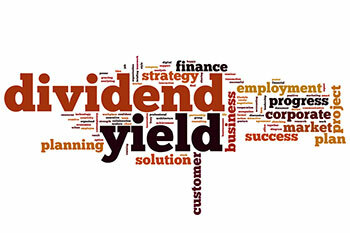 Dividend yield is an annual return that the stock pays in the form of dividends. The dividend yield is calculated by dividing dividend per share by the current market price. Investing in high dividend yielding stocks is generally preferred by risk-averse investors who avoid taking higher risk while investing. They look for investment instruments that offer consistent returns with less volatility. Investing in high dividend yielding stocks can give stable regular income along with unlimited potential upside in stock price. Before discussing high-dividend yielding stocks, let us understand what exactly dividend yield is? Tax Implication: Dividend received from investments in Indian company is exempt from income tax as the company declaring such dividends have already deducted dividend distribution tax. However, as per Budget 2016, in the case of a resident individual/HUF/Firm, the dividend shall be chargeable to tax at the rate of 10%, if the aggregate amount of dividend received from a domestic company during the year exceeds Rs 10,00,000 (Section 115BBDA). One should also consider the fundamentals of the company while selecting high dividend yielding stocks. Below-mentioned are some of the high-dividend yielding stocks.